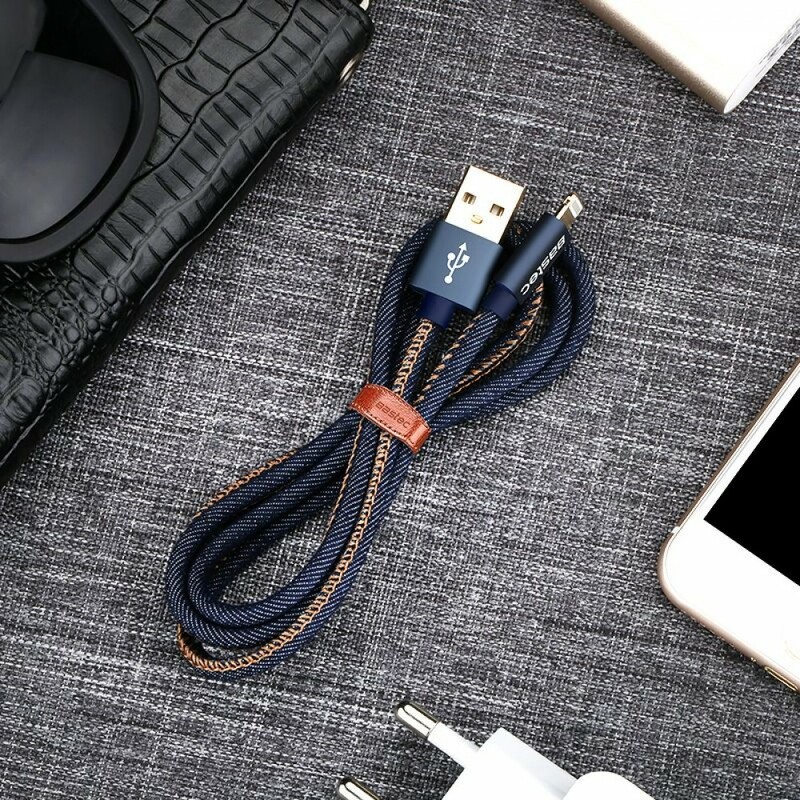 USB charging cables don't need to be boring! 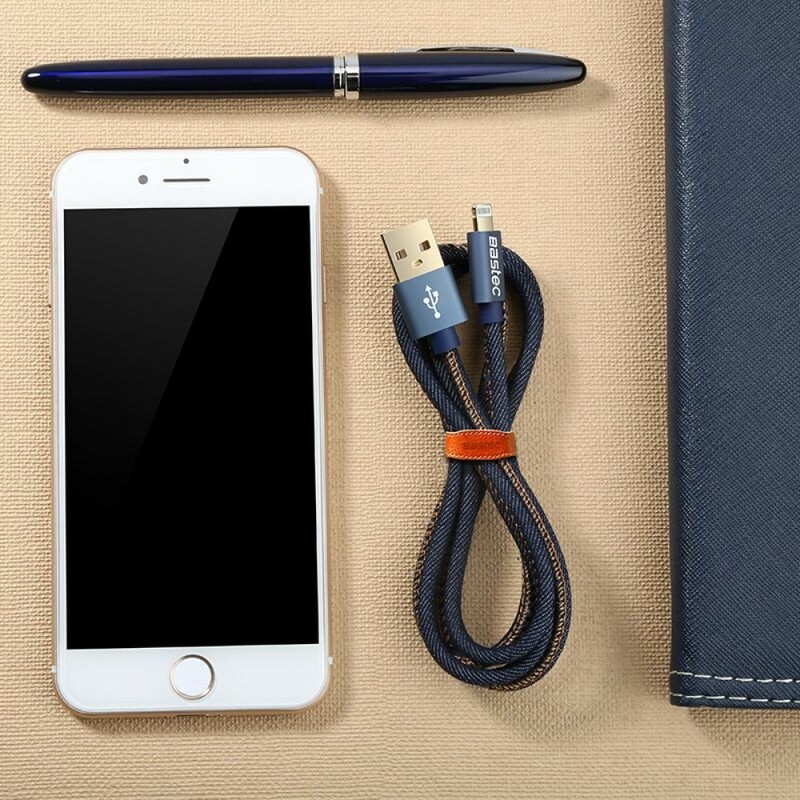 The combination of denim weaved outer cable sheath along with a leather cable organiser and 24K gold plated connectors makes for a beautifully tactile cable with the ultimate in connectivity that supports fast-charging. 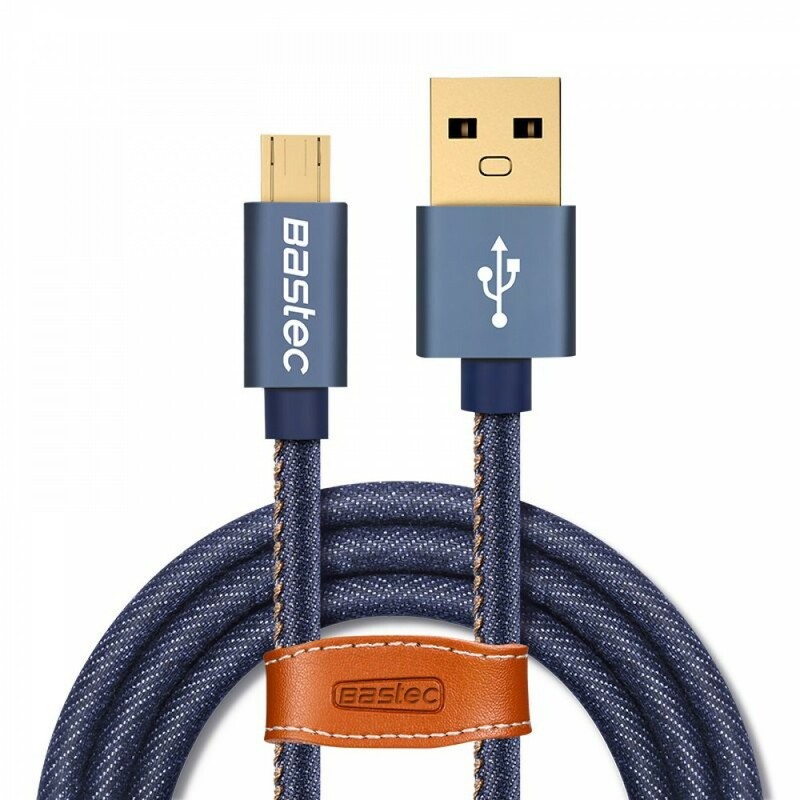 Note: 25cm cable does not include the cable organiser as the cable is too short.